The target of any dispersing process is an optimum disintegration of stickies and dirt homogenization of pulp, and development of fiber properties, in order to improve the pulp quality and machine runability. Typical process conditions are a pulp temperature of 70-120°C and an inlet consistency of 25-40%, at a specific energy demand of 20-60 kWh/t. 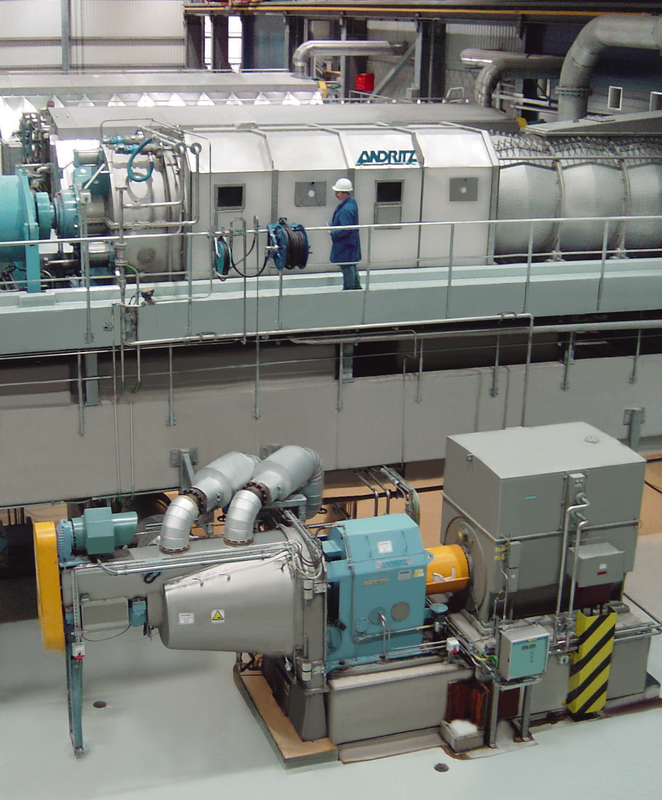 The ANDRITZ pressurized dispersing system comprises a set of unit machines with specific tasks: Dewatering is done with a high-performance pulp screw press. The main component of the pressurized heating zone is the heating screw, which is basically responsible for uniform pulp heating and equalizing of the pulp flow. The ANDRITZ CompaDis CDI disperser is equipped with sophisticated high-consistency disperser plates with a wide range of pattern designs for various applications. ANDRITZ compact dispersing systems combine heating and feeding screws in one system. 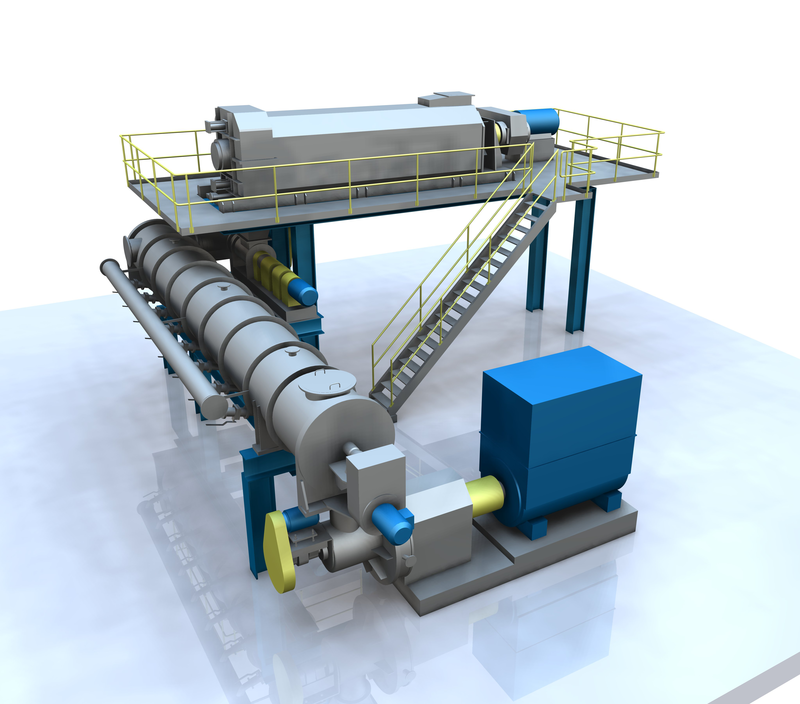 Compared to conventional dispersing systems, the compact design requires less space. The reduced number of machine components results in lower investment and maintenance costs. Energy input and temperature have a very high influence on the operating costs and therefore on the dispersion efficiency. 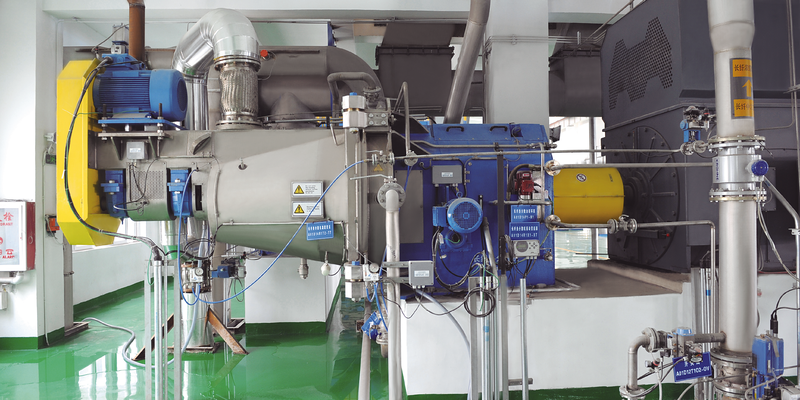 To keep these parameters low, the inlet consistency is increased to ~40%, resulting in a reduction of steam consumption by ~25%. Less bleaching chemicals are needed; contaminants are removed more efficiently. To reach the 40% consistency level, a plug screw feeder providing a large dewatering surface is used as additional dewatering equipment after the pulp screw press.